We usually work a lot during weekdays, and by the end of the week we are all worn out. So we normally try to have some extra sleep ours during the weekend and we end up waking up a little too late to have breakfast to still a bit early so as to have lunch, or even at lunch time. So, during these days what look forward to start up our weekends renewed by having a great meal that can work not only as breakfast which is a very important meal to have and should not be skipped, and that also works as lunch. We you shouldn’t worry much because we will give a great selection of the best brunch places in Bangalore so you can start up your day fresh and energized. At its name suggests, this amazing restaurant is located on a 13th floor which gives you the chance to enjoy of a magnificent view of this amazing city while you are munching on food from Ebony. Some of the food that they offer is fragrant rice dishes, curry, and smacking starters that have come to be a great option for the crowds. This is a great surprise for those who are expecting a regular brunch when they actually find themselves having an irresistible picnic on the sprawling lawns of the Lalit. It is a nice option every Sunday after a tennis match or a swim, to line up ate the live stations that serve everything from pastas to spicy tandoori offerings and even chaats. 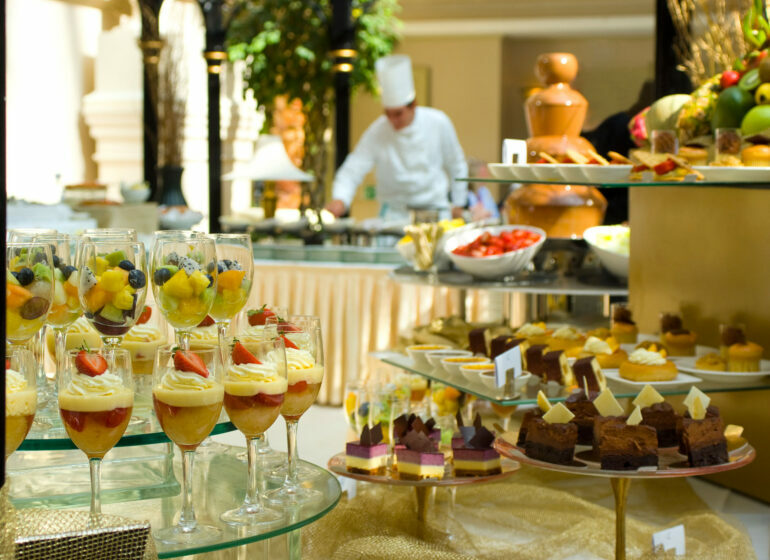 Remember to leave some room for the dessert which has a variety from more than 30 kinds from around the world. Performing a Hawaiian Tiki brunch, this rooftop bar is a Polynesia-inspired food restaurant that continues piling up as you drink on heady cocktails and smoke flavored shishas. This is a Tex-Mex restaurant that offers a three-course weekend brunch that can be vegetarian if you wish. The first course consists of a selection of three from unlimited appetizers like Texas Cheese Poppers, Fried Quesadilla Bites, and Chicken Wings among many others. There are plenty of dishes for main course: Classic Paneer Fajitas, Cajun Pasta, Cilantro Pesto Chicken, or even Bacon Burger among others. You have access to unlimited beer and sangria or liquor and cocktails if you don’t mind paying a little more. This is a very popular brewery that truly believes the best people are the ones who love to eat. So this place is mad for the little glutton that lives deep inside each one of us. Their Sunday brunches offer kababs, roasts, biryanis, pastas or pizzas that are served with a lot of craft beers and delicious cocktails. As you can see there are a lot of great options if you want to enjoy a great brunch. These are only some of the great variety the best brunch places that Banagalore has for you.